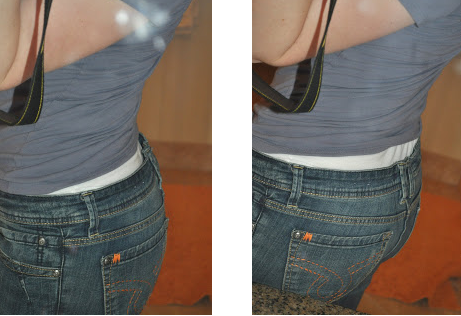 Her simple trick fixes an issue that haunts thousands of women… and it’s so easy! How many women have had this issue before? 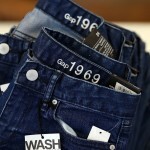 It’s hard to find a pair of jeans that hugs all of your curves, especially that one on your backside! Jean designers obviously haven’t found a solution for jeans where anyone taller than your hips can’t see down your pants. For those with a little more junk in the trunk the issue’s even worse! Especially with certain pairs of pants. 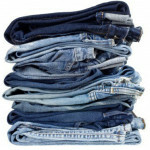 But, some of the cutest jeans still leave a gaping space between your back and the jeans, leaving your crack for the whole world to look at. Tucking in a shirt does work, but sometimes it’s uncomfortable or doesn’t work with your outfit. If you have daughters, this isn’t just an issue grown women face. Those pre-teens in that awkward transition phase between wearing girls’ pant sizes and teen sizes will definitely have this issue. 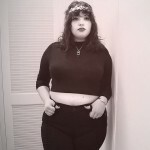 They’re starting to look like women and the hips are starting to widen a bit, but their waists are still stick thin! So how do you fix the problem? It’s actually really easy. 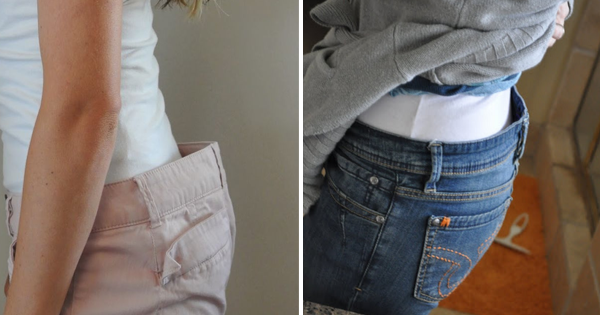 All you have to do is cut half inch elastic into about a six inch strip and sew it onto the inside of your jeans! How does it work? 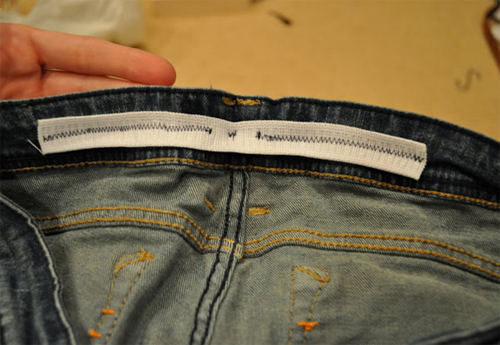 If you take some thread that matches your jeans and your sewing machine, you can make a quick zigzag stitch to hold the elastic in place. As you sew, start in the middle and pull the elastic as tight as you can. 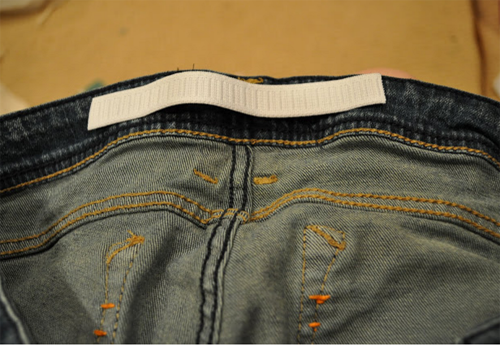 Don’t pull on jeans while you do this, just the elastic. 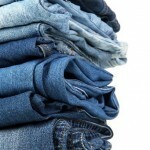 By pulling the elastic tight, the jeans are forced to pull inwards, towards the body. So, once you put them on again, there will be no canyon showing off everything to the world!